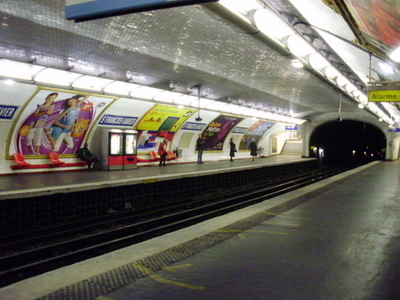 Saint-François-Xavier is a station on line 13 of the Paris Métro in the 7th arrondissement. The station was opened on 20 December 1923 as part of the original section of line 10 between Invalides and Croix Rouge (a station east of Sèvres - Babylone, which was closed during World War II). On 27 July 1937 the section of line 10 between Invalides and Duroc was transferred to become the first section of old line 14, which was connected under the Seine and incorporated into line 13 on 9 November 1976. 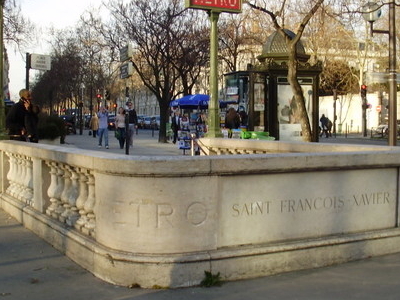 It is named after the church of Saint-François Xavier des Missions étrangères, dedicated to Saint Francis Xavier (1506-1562), co-founder of the Society of Jesus. Here's the our members favorite photos of "Metro Stations near Tour Eiffel - Invalides District 07". Upload your photo of Saint-François-Xavier!